We view change as OPPORTUNITY, an opportunity for Alberta to lead in the automation of transportation. Consider, by “Automating the QE” Alberta would be creating a North American first, establishing an economic corridor – the first leg of an automated link to Denver, and stirring innovation. Agree? Send us feedback now! Autonomous Alberta – a not-for-profit organization to provide leadership to assist Alberta in creating an environment that will enable the Province to become the first jurisdiction in North America to become autonomous technology (AT) friendly and that autonomous vehicles (AV) become pervasive as the primary means of mobility for persons, goods and services by 2028. To address impediments that stand in the road of autonomous technology development and commercialization, and to become the enabler for attaining the vision of an Autonomous Vehicle Alberta. Documentation of issues to be resolved and broadcasting these to the AT community so that they can pick them up to work on solutions. Some technological and will require development. Automomous Vehicles in Alberta … Alberta should grab the opportunity and work towards an efficient modernization of its transport infrastructure and industry, to ensure the future prosperity of the province. California OKs autonomous car testing without backup drivers … Driverless cars will be tested in California for the first time without a person behind a steering wheel under new rules that state regulators approved Monday (February 26th) for the fast-developing technology. … Until now, driverless cars could only be tested on public roads in the state if a person could take the wheel in an emergency. Driving tests for self-driving cars – Autonomous cars should be safer than human-driven ones, but proving it will be tricky … By focusing on the acceptable rather than obsessing over perfection, and by breaking down the colossal number of safety verifications into manageable tasks, we can make self-driving vehicles a reality for many customers around the world. 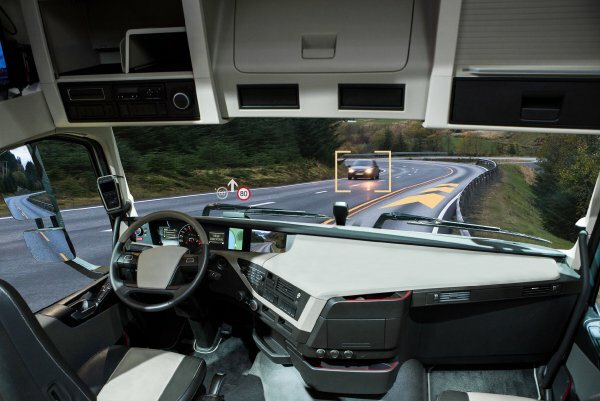 Edmonton moves ahead on driverless vehicle testing … The technology for driverless vehicles is coming sooner than people realize, Paul Godsmark, with the Canadian Automated Vehicles Centre of Excellence, a non-profit group, told the urban planning committee. Edmonton speeds up work on autonomous vehicles … Survey shows lots of Albertans are wary of the new technology.